Change your diet and improve your health! You normally have a mix of good and bad bacteria in your digestive tract that, when kept balanced, helps you ward off infection and disease. But when this balance is thrown off kilter, candida, a naturally occurring yeast, is allowed to overgrow. This can result in headaches, intestinal and abdominal distress, skin rashes, or even memory loss. 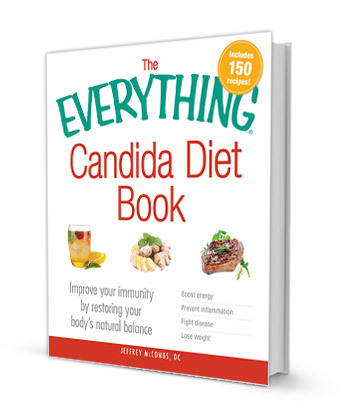 If you’re experiencing trouble with candida, The Everything Candida Diet Book can help you restore a healthy balance. The causes of candida overgrowth. The effects of too much candida and how to control it. How to build a healthy immune system. Foods to avoid to keep your digestive system in balance. The key to taking back digestive control is a healthy diet. With 150 recipes for healthy and flavorful meals, The Everything Candida Diet Book can help you get your health back on track in no time!